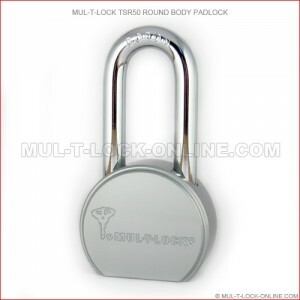 The T-Series Line of MUL-T-LOCK Padlocks is designed to offer Patented High Security Key Control to Padlock Security. 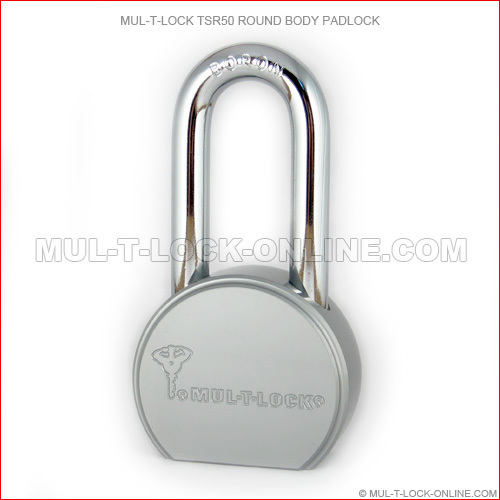 The very popular Round Body (TSR) padlock design comes in 2 different shackle clearances for different applications. Also available is the "Hockey Puck" style shackle-less padlock (TR100) which is an extra level of protection since there is no shackle exposure.